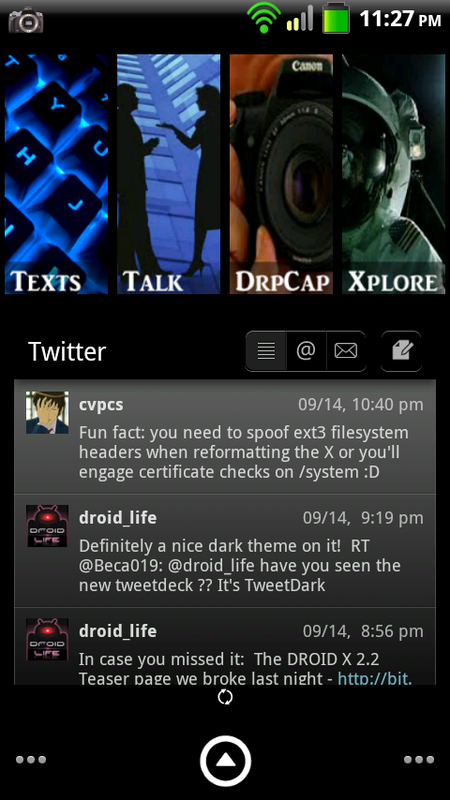 Dr, Root, How do I get all these cool looking home screens I see floating around? 1. First if you don’t already have it, grab LauncherPro from the market and you’ll need to pony up for the plus version. 2. Next grab Desktop Visualizer from the market also. 3. Download this ZIP FILE that I have provided for you to get you started. This .zip includes some icons as well as 2 .psd files for the icons in case you wanted to create your own, but there are plenty provided which should give you a good start. If you choose to create your own, the .psd files work perfectly in Photoshop. For those of you without Photoshop the following measurements can be used to create the icons with your favorite image editor. For the 3×1 icon use 355×132 and for the 1×2 icon use 115×266. 4. Now that you have some icons lets start by selecting the 4×1 widget from Desktop Visualizer. You will want to resize this to 3×1 with LauncherPro’s resizing ability. 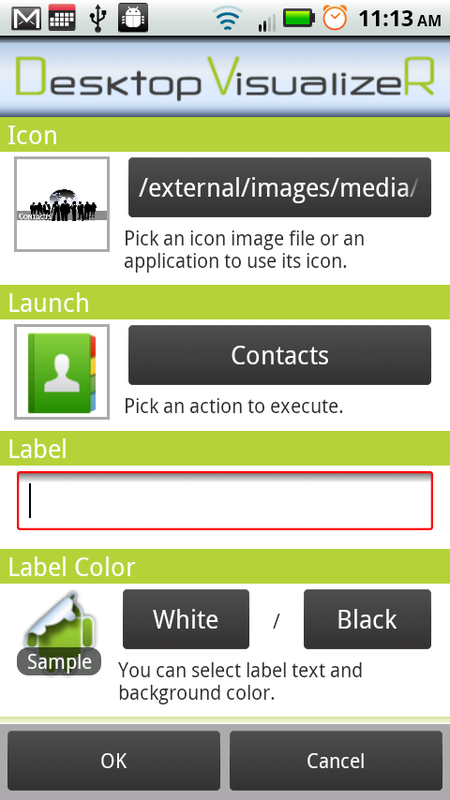 Using the 1×2 widget is straightforward and will require no resizing. 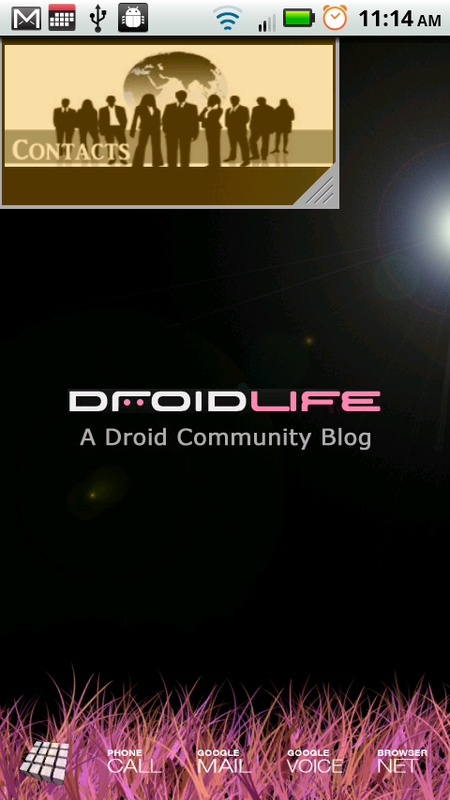 Ok there you have it, please feel free to show of your new homescreen creations over at our DROID-LIFE FORUMS. Dr. Root, Why does your LauncherPro have a custom skin? Well, glad you asked here’s the answer. 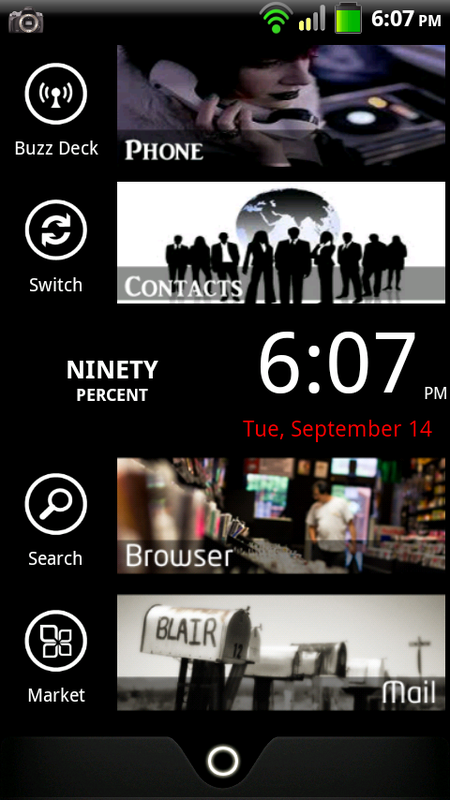 Benny879 has been kind enough to theme Fedes awesome launcher for us to enjoy. Go get the theme pack this post. There are a couple different flavors to choose from as well. Benny also themes more than just LP. Check him out and if possible donate. The 500th comment in this thread will receive a $20.00 dollar donation to their PayPal account. Courtesy of me. If you don’t have Paypal I’ll contact the winner and work out a way to send you your funds. This is my way of giving back to you guys. So have at it and have fun!